Ucapan penghargaan kepada Prof. Al-Attas oleh. YM Raja Dr. Nazrin Shah. WordPress is an Open Source software which allows it to be used free of cost. You can use it on any kind of personal or commercial website without have to pay a single dime for it. It is built on PHP/MySQL (which is again Open Source) and licensed under GPL. You don’t really have to be experienced to use WordPress on your website. Nowadays most of the hosting companies provide the ability to install WordPress on your site at a single click of the mouse. The administration section is easy to navigate and its even easy to add articles/content to your website. You will never run short of templates when using WordPress. If you don’t like the themes that come with the default installation of WordPress, you can hunt on the Internet and you will find thousands of free themes that you can download and use for your website. There are themes which can even make your website look like a regular site instead of a blog. WordPress plugins allow you to do just about anything that you want and can be installed in a jiffy. For example, you want to paginate your blog posts, just look on Google and you can easily find the relevant plugin that will easily do the job for you. WordPress is one software that follows all the Web Standards and keeps your blog or website compliant to all the rules that have to be followed when running a website. Search Engines have to be definitely kept in mind when building a website. WordPress uses different functions which allow it to be search engine friendly. For example sending pings to other sites, making categories, tagging your posts, use of h1/h2 tags etc. As per recent statistics, WordPress is used on more than 1% of the websites on the Internet in the world. There is a large user community backing the development of this software. So, whenever you face any problems, you can go through all the available WordPress forums and communities and find answers for all your questions. 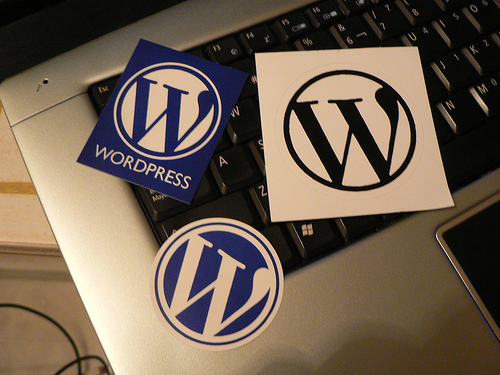 So, you see the benefits of using WordPress now? And, you can add to this list by providing your feedback in the comments. Visit any one of these sites: www.wordpress.com, www.blog.com, www.livejournal.com, www.blogger.com, www.mindsay.com, www.diaryland.com, or www.blogdrive.com. Choose from a gallery of ready-made templates to personalise what would eventually be your blog. Add stuff like your name, your pet peeves, and your pet’s pictures etc. Add more stuff like buttons, blog chalks, imoods, tagboards, guest maps, guestbooks, comment boxes for readers’ input, etc. Ask yourself whether you want your blog to be open to everyone with an Internet connection or just to a select few. Keep in mind that most blog sites offer a nifty feature which allows you to password-protect posts. Make your site look cool. Pick one of the many sets of predefined layouts and colour schemes that you fancy. Alternatively, edit your own. © Hakcipta terpelihara, sila kreditkan weblog ini jika anda ingin mengambil sebarang bahan, artikel dan lain-lain. My site is worth$2,548.7Your website value?